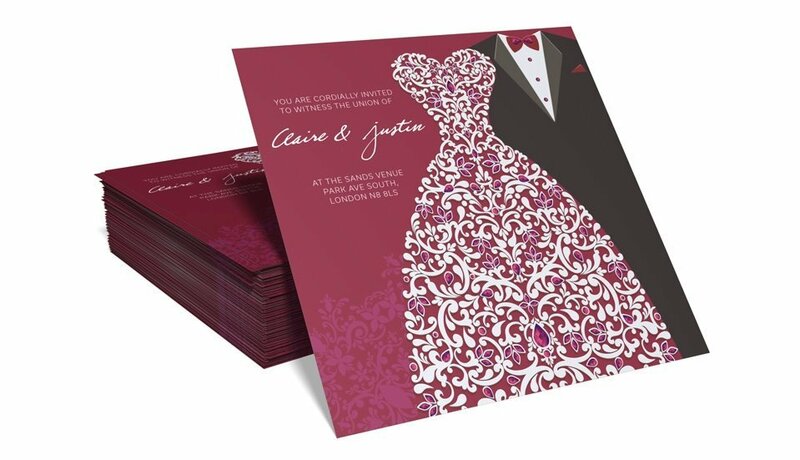 At StressFreePrint, we pride ourselves on the quality of the products we produce, and our new range of bespoke wedding invitations represents some of our finest work to date. 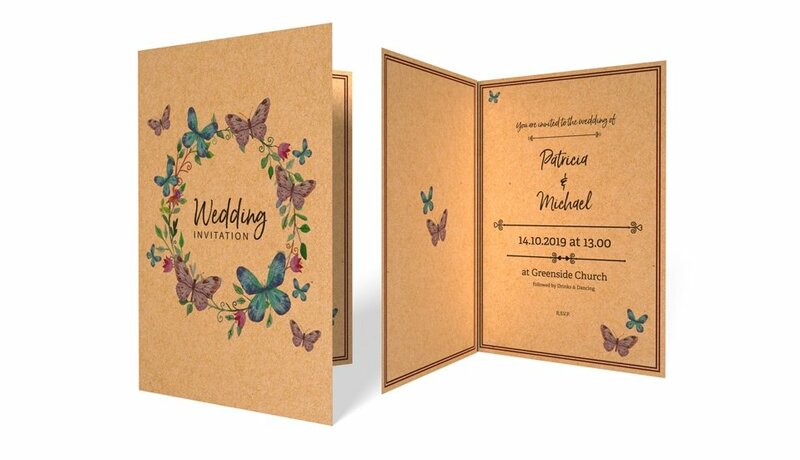 As exquisitely made as one would expect for an object integral to such a special day, our invites are beautifully crafted, carefully finished, and superbly suited to allow you to add your own personal touch. Our range includes a choice of different sizes, formats, paper weights and finishes, allowing you to perfectly encapsulate the style and aesthetic of your big day. If you've opted for a vintage theme, consider our 100% recycled brown kraft range... and don't forget to complete the look with matching envelopes. Get your fairy-tale wedding off to a perfect start. Scroll down to explore our products and place your order today.